BEST PONY IN ALL THE LAND. Late Monday, the barn owner checked in with me to ask if I’d talked to the vet about dropping off more ace for Tristan’s farrier appointment on Wednesday. CRAP. I hadn’t. So I called the vet, and she was completely unable to come out in the next few days – was actually indisposed and not working. Double crap. So I told the barn manager, with profuse apologies, and she said she’d make it work. They’d start on him first and go slowly if need be, and could always hold off for another week or two if necessary. Yesterday, I sat on pins and needles all day waiting for a text; I didn’t want to bother them, but I wanted desperately to know if it had all gone well. It was a new farrier, too, who wasn’t used to Tristan’s assholery. When I left work, I texted the barn manager to say that I was heading to the barn, and hoping no news was good news. She texted back to give her a call when I got to the barn. I spent the rest of the drive to the barn with a sick pit in my stomach; that couldn’t be good, right? 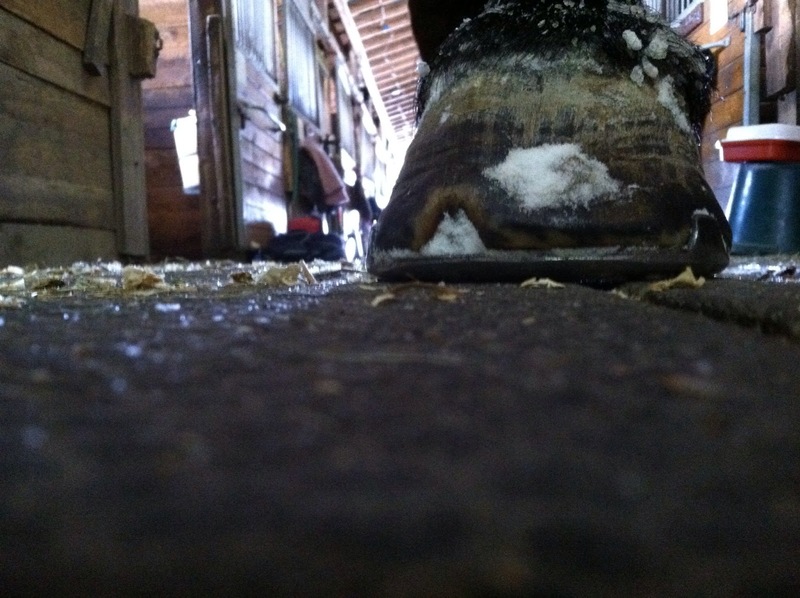 Arrived at the barn, practically ran down the aisle, threw open the stall door, brought Tristan out…and all four feet were trimmed, with new shoes on the front! So the farrier had managed to get them on, at least. I called the barn manager who reported that he was PERFECT. Not a foot wrong! The barn manager didn’t even have to stand with him, he chilled out in cross ties. 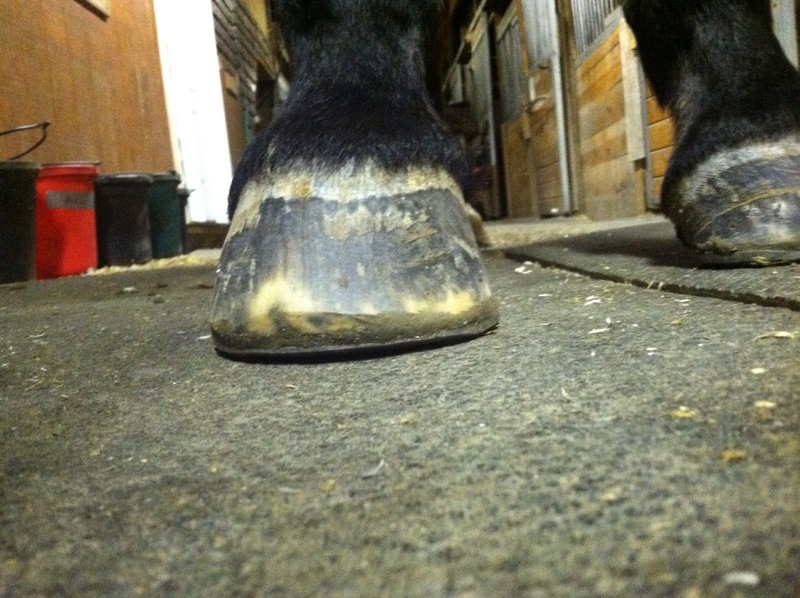 The farrier advised one more cycle of shoes and then barefoot again in the spring. BEST PONY OF ALL TIME EVER. I hugged him and kissed him and very nearly started crying right there in the aisle. WHEW. I groomed him and did his topline stretches and then we did about 35 minutes of longeing, wtc, setting up a circle of death and elevating them with blocks. He did beautifully at the trot, adjusting his stride to nail them perfectly and stretching out and down, lifting his back. He sort of started to get it at the canter, but never had a really successful circle with them. He did have a couple of nice poles that he took in a lifted stride, though. Post-trim, taken 12/18/13. SO AWESOME.